My android mobile has become slow, during works, it hangs on, it automatically restarts time by time. Net works slow, mobile boot menu does not work properly. All such issues highlighted here demand that you should flash your mobile, but how? Do you have a trustable mobile tool to flash your mobile. Do all the tools downloadable on net flash the mobiles at the same way as a trustable tool can do? You should be careful when you select or download any mobile tool for flashing your mobile. Guys! I always try my best to bring you the latest and updated versions of mobile tools. For you, the the updated Infinity Box Nokia Best Latest version v2.28 is here for your android mobiles for flashing purposes. 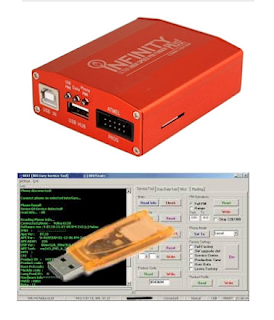 Infinity Box Nokia Best latest version v2.28 has been released recently and it supports new nokia models and has improved MTK and NXP and nokia lumia flash engine. Boot repair has been improved for some models in this version.